"Where do I even begin with all of this?" This very question can paralyze the best among us, especially if it's been a long time since you went through a job search. If you're feeling this way, where do you start? Do you fix your resume up first? Do you call a recruiter? Enlist your network? Or, do you start firing out application after application, so you can feel like you're actually DOING something? No, maybe, yes and no. Let's break down why these moves can be problematic, and then talk about better ways to get started (and keep progressing) in job search. When your entire job search method involves staring at the screen of your computer or mobile device for hours on end, madly scrolling to find jobs of interest, then blindly applying to posted positions, you're going about things in an incredibly passive manner. You're also competing with roughly 503,941 other people for that same spot (give or take). Annnd, you very well may be leaving it in the hands of a computer (resume scanning software, or the ATS) to decide if you're enough of a match for that role to move on for human review. In other words, you've got more than one gatekeeper involved, and one of them is a computer. While this method of job search may seem like your lowest-hanging fruit option, if it's the only way you're going about this, you may add all kinds of time and frustration to the hunt. It's far wiser to sit down (at the beginning of your job search), think through your specific goals and then consider some more active, networking-based ways to accomplish them. For instance, maybe you're looking to land a new job in a marketing agency after having worked in project management within a corporation for a few years. Your plan of attack might include figuring out who you might introduce yourself to (or ask someone to make an introduction), so that you may get a bit more information about agency jobs. Or, maybe you'll want to research the five best marketing agencies in your area, and focus on hyper-targeting these firms. Perhaps you decide to join a professional association for marketing people and find out when their next networking event is. Maybe you schedule a few informational interviews. You get the drift. Establishing and leveraging an "in" can catapult you right over those 503,941 others in the resume pile. The second mistake is one that many many (so many) professionals make, usually because they assume they cannot do a thing until they have a current resume. Certainly, this is an understandable mindset. I mean, how to you start applying for jobs without a current resume, right? Right. However, how are you going to create an impactful marketing document (which is what your resume is) if you don't yet have clarity on who you're talking to, or what they're going to need you to walk through their doors and deliver? It's impossible. It'd be like trying to market baby formula to everyone on the planet vs. figuring out who is the most likely purchaser of baby formula and then speaking directly to those things you believe will compel these consumers to purchase your product. You're the baby formula in this instance. Recruiters and hiring managers are the consumers. And the purchase decision you're looking for is, "Invite you in for an interview." When you try to speak to everyone, you end up diluting the impact of your message across every channel. No one is going to deduce how or why you make sense for a role. You have GOT to make this smack-in-the-forehead obvious to recruiters and hiring managers. The best way to achieve this? Understand who you're talking to, and what they're going to care the most about. And then, assuming your skills and experience align, make sure that your resume highlights the specific things this audience seems to value the most. Again, what's going to prompt the purchase decision? How do you figure out what they're going to care the most about? 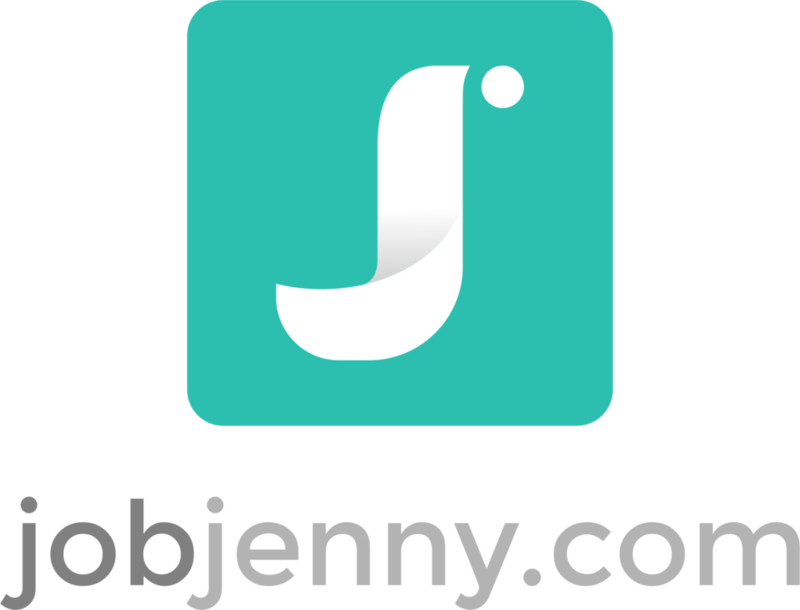 Here at JobJenny.com, we typically ask our resume clients to share 3-5 job descriptions that represent the type or types of roles they're most interested in. And then we look for patterns, or most common overlaps. For instance, maybe three of the five job descriptions call for someone with strong problem solving skills. Well, then. We now know that (assuming it's accurate to do so) we need to introduce you as a strong problem solver. Or, maybe over and over again the jobs are looking for advanced CRM skills. Great, you have them. We make sure it's crystal clear. It's kind of like reverse engineering -- You study what these jobs call for and then you use this info to inform your decisions on what you share in the resume. Very hard to do if you don't yet know what type(s) of job(s) you're targeting. Before I get going on this one, I'll clarify that I AM a recruiter, or headhunter. I've been one for 13+ years. Given this, I absolutely don't think it's a bad idea to work with recruiters when you're trying to change jobs or your career path. The good ones can be pure gold. What I do see sometimes, however, are people who think that recruiters are like their personal talent agents. This is not how much recruiting works. Recruiters (agency ones) are typically paid by corporate clients to fill specific open positions. And, they're only paid when they find the best match for that role (the person who gets hired). Recruiters aren't shopping individual professionals around to bunches of different companies. Instead, they're trying to find perfect-fit people to slot into these very specific openings they've been assigned. Important differentiation. That said, if you are thinking you can kick back once you get a couple of recruiters on it for you, you could be looking at a lengthy job search. The best way to work with a recruiter is to find one (or more) who have strong knowledge of your industry or specialization, and whose clients tend to hire people in positions like the one you're looking for. For instance, I'm a recruiter for the robotics industry. My clients are all companies that either make, integrate or use robots. If you're looking for a job in robotics, I'd be the type of recruiter to call. If you're that project manager trying to shift into a marketing agency role, you're going to be better served by googling a few options (or asking around) for recruiting agencies within the marketing / creative sector. Once you find one, you can simply contact that agency and say, "I'm a project manager with strong marketing aptitude. It looks like your clients might have needs that align with my background. Would it make sense to chat?" Assuming the conversation progresses (and the recruiter agrees that it makes sense to work together), you will now have an extra set of eyeballs on the lookout for you. Don't, however, mistakenly think that it's time to kick back. Continue running all of the other job search angles you've got going. There is no one best way to go about job search. There are, however, many ineffective and inefficient ways, including the three outlined above. You want to stay away from these and, instead, work like mad to integrate strategies and tactics that will enable you to step out there with a strong, relevant message and align yourself with people who can help you out along the way. No one loves job search. But it's a hell of a lot more tolerable when you start seeing progress. Don't get paralyzed. Get organized.